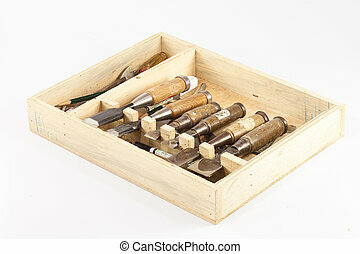 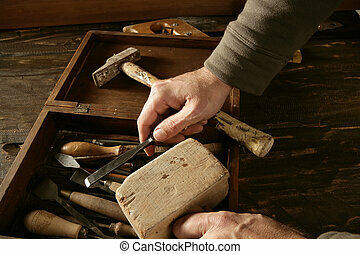 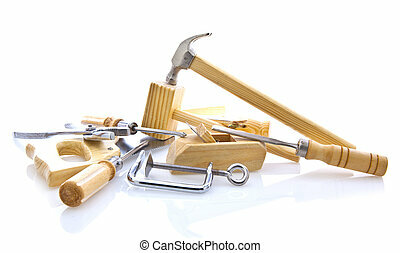 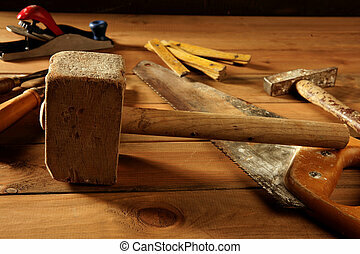 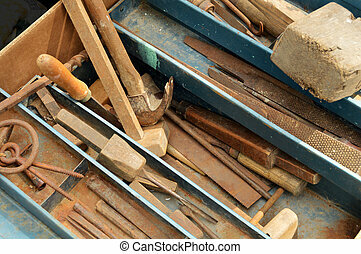 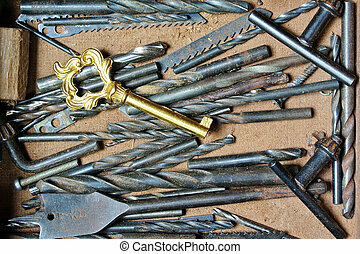 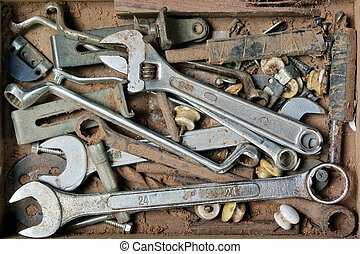 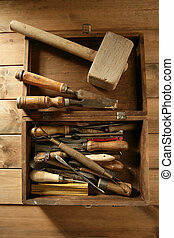 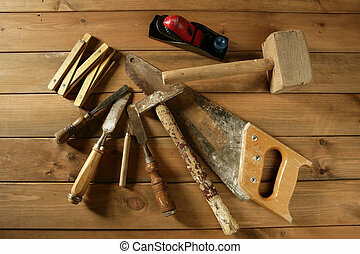 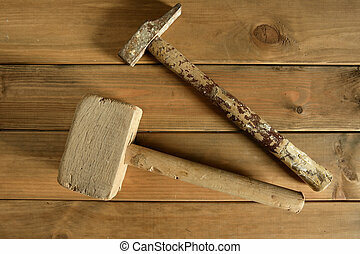 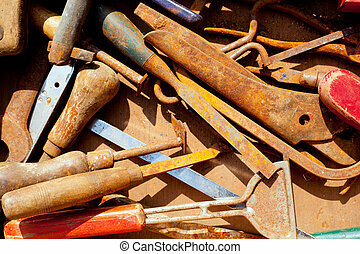 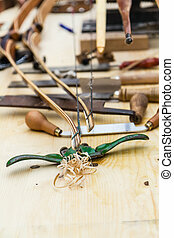 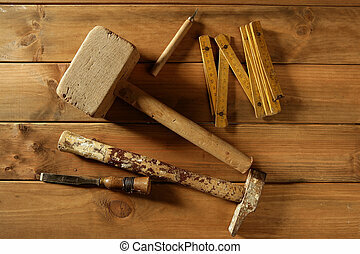 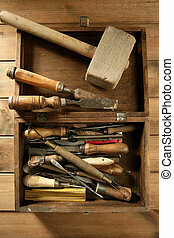 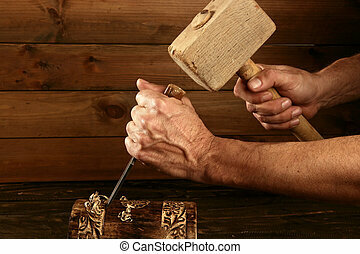 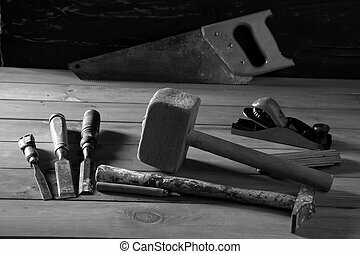 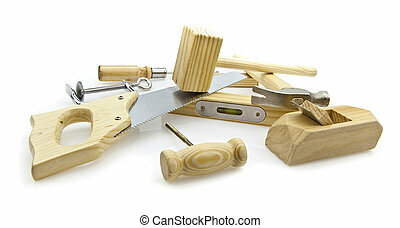 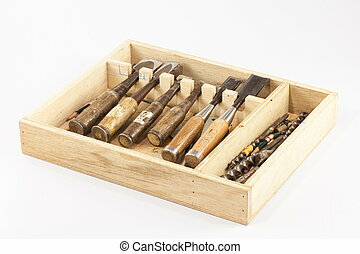 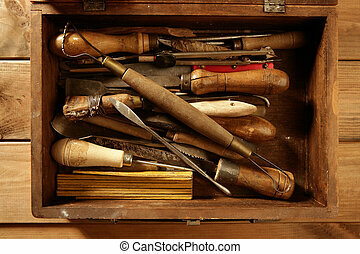 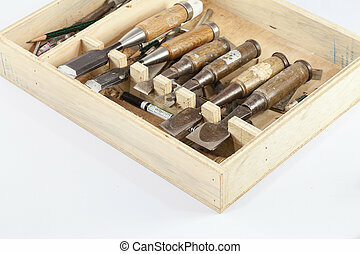 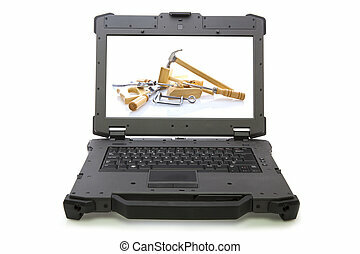 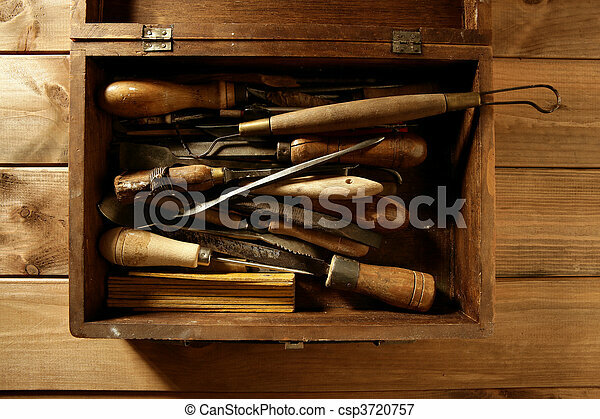 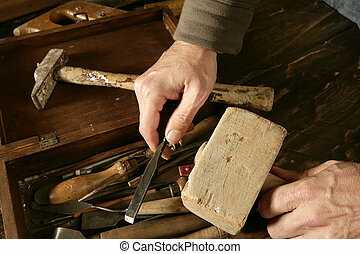 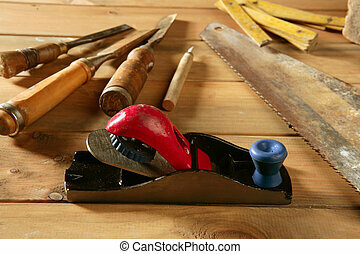 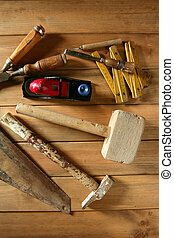 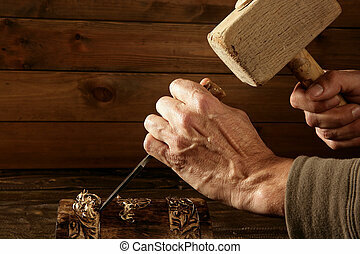 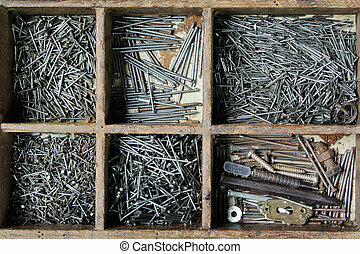 Craftman carpenter hand tools artist craftmanship. 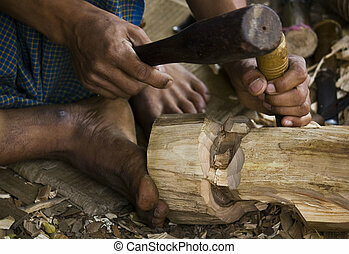 Image take in a little village in the region of Mandalay (burma, Myanmar). 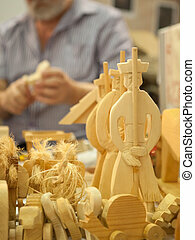 A craftman was workinh on wood sculpture. 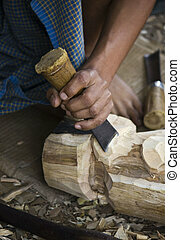 Wood carving traditional is related with Myanmar cultural of Jataka (Buddhist historical life).